How I have loved reading this book that just took over me. It brought me to an halt as I didn’t want to miss a word of it, as it literally controlled my mind and reactions that occurred in my body. I cried and then laughed while tears were still running down my cheeks and goose bumps and the little hairs on the back of my neck rose and fell at an alarming rate. And if that wasn’t enough my continually OMG, wow and oh no! was speech that became an involuntary reaction to every chapter. There was no way that I could possibly second guess what would happen next and was just bowled over with everything, very much like real life and that is what it felt like. Real life. One thing that you need to do is read this book with an open mind and don’t dismiss anything, go with the flow, as they say. You may even find it leaves you feeling not quite alone, but in a lovely warm glowing way. It certainly left me with a good feel factor. This is a lovely story of how three very different woman found friendship together at a time when they were probably at their lowest. Each of them from different backgrounds with very different hardships to face but things kept happening that made their paths cross and eventually they gave into fate. It was only as these woman gradually opened up to each other that you realised just how special it all was. 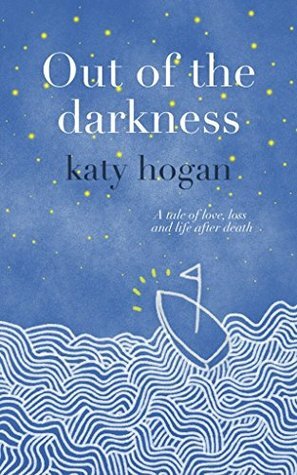 There are some supernatural elements in this story too which the author, Katy Hogan, explains in the back of the book..
Every review I read for this book is glowing. That is such praise for the very talented and big hearted Katy. I also loved this book and it has stayed with me.